Blog Do Soundproof Curtains Actually Work at Blocking Outside Noise? My answer to his question was yes and also no. you see, the best way to soundproof a window is to completely bock it. The thing is, he doesn’t want to add anything permanent because he uses an in-window air conditioner in the summer. In reality, soundproof curtains are more useful for sound deadening applications; But they lack proper soundproofing from the noise coming in from outside. What I’m saying is that you should not expect your window to become soundproof by just adding a simple soundproofing curtain. Or should I say, sound deadening curtain? 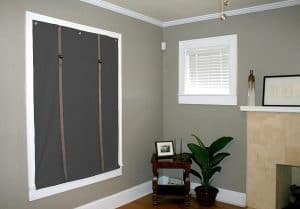 Soundproof curtains are inexpensive, easy to hang up, but they really work? Soundproof curtains are useful for reducing echo in a room, but will not reduce the decibel level of sounds entering the room from the outside world. However, just because curtains won’t do much to reduce the decibel level doesn’t mean that soundproof curtains won’t help your room to feel quieter. How is that possible? Let’s say that you are in your bathroom, and you’re listening to music on your cell phone. If it’s anything like my bathroom, you will notice how annoying the sound is due to the reverb that bounces off the walls – you will hear an echo. Take the same cell phone and play the same music in a closet full of clothes. What do you hear? You should hear the music is much quieter, and there’s an excellent reason for this. It’s because the hanging clothes act as a sound deadener by absorbing the music and efficiently deadening the echo. Well, Do Soundproof Curtains Work? Yes! And they are a cost-effective way by which you can begin to soundproof a room in your house. If exterior noise keeps you awake, such as regular traffic or transport trucks, noisy bars and clubs, and even loud neighbors playing music – then soundproof curtains indeed won’t be as good as a soundproof window. 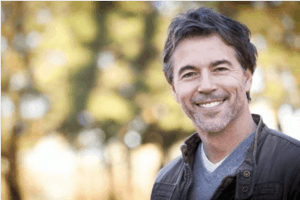 They might not be the ultimate solution, but they will undoubtedly help and provide a bit of relief regarding your efforts in reducing external noise from coming inside. 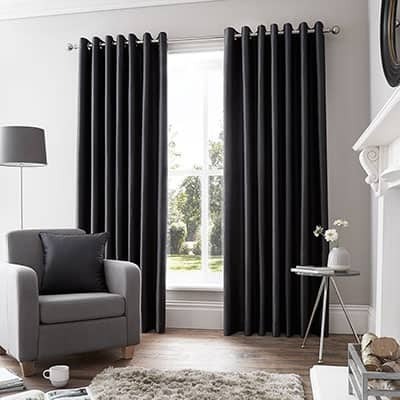 Firstly, when you’re shopping online, you will see many companies advertising curtains as being “soundproof”; but in reality, many online vendors will give that label to any thicker than usual curtains. Don’t let this fool you into buying non-authentic or cheap curtains! So it can sometimes be a tad difficult to find out what is the best soundproof curtains. The best soundproof curtains to buy are ones that go from floor to ceiling, are heavy duty, with a tight weave. It is also important to note to measure the curtain correctly to ensure that it passes at least three inches past the sides of the window – this is essential to help avoid outside noise to bleed into your room from either side of the window. To prevent noise from bleeding into your room, you will want as much coverage as possible. The key here is that it covers as much area around the window so that the folds in the curtains can create as much of a seal around the sides as possible. 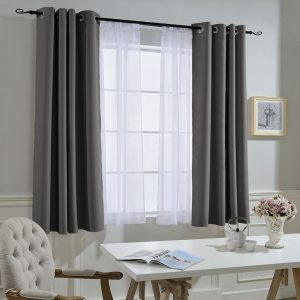 The two soundproof curtains I recommend are the Nicetown soundproof curtains, and I also like the Best Home Fashion soundproof curtains. I have worked on homes that have both of these curtains installed, and the homeowners are very pleased with them. These two soundproofing curtain companies are seen as market leaders and again have some of the top online reviews. Here is my impression regarding these two noise-proofing curtains. As you will see, there is a reason why these soundproof curtains is an “Amazon Choice” product, because they are as advertised. These curtains are soft and fairly heavy. The rings at the top are great quality with no stitching issues. There will still be a faint amount of light that shines through. To be fair, the description does say that it “Impedes 85%-99% of light and UV ray (Dark color curtains work better)” so it is indeed not a deception from Nicetown. The Nicetown soundproof curtains I’ve seen were black. The reason why my friend chose black is that the lighter the curtain, the more light that will pass through. He wanted the curtains in gray but since the primary reason for buying them was to block the outside noise and also to block as much light as possible, he chose black. On top of soundproofing, I want to warn you that these curtains will not be a substantial blackout; but it will reduce the light by approx 90%. These soundproof curtains come with two panels per package. Each soundproofing Curtain measures 52″ wide x 84″ long. The material is super heavy. Besides, 85%-99% light blocking, thermal insulated, soundproof, Fade-resistant, energy efficient. Thread trimmed and wrinkle-free, both sides are the same color/pattern. More than soundproofing benefits, it also protects your furniture and floor when they are being exposed to the sun; while still helping you save money on heating and cooling your home. Good quality finishing will withstand many years of use. The Nicetown are machine washable with water temperature below 86℉. Use a mild detergent without bleaching. Click here for current Amazon Price for Nicetown Soundproof Curtains. 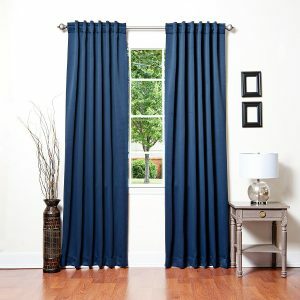 Just to clarify, the real name of this particular product is “Nicetown Blackout Curtains Panels.” I keep calling them soundproof curtains because that would probably be your primary use for them. Best Home Fashion soundproof curtains. Best Home Fashion Soundproof Curtains blocks 100% of light. I’ve had blackout curtains before, but it was shocking how effective these curtains are. They also keep the warmth in during the winter. I’ve noticed if I leave these open in the daytime, it’s about 5-10 degrees colder in my room. The price is reasonable for the high-quality build and material which are a triple weave. They have grommeted rings instead of a sown bar hole, and it’s easier to pull the curtains open and closed. Click here for current Amazon price for the Best Home Fashion Soundproof Curtains. Get side curtain hooks so even if you don’t want to pull them back, you can tuck the sides of the curtains into the wedge between the hook and the wall, so noise doesn’t come in from the sides. Levolor 5872379 Classic Drapery Holdback, Brushed Sienna, One Pair. I do recommend hanging them directly from the ceiling for maximum noise-proofing. As I just mentioned, buy ceiling mount brackets (Amazon Link) instead of relying on regular standard wall brackets. By doing so, you can have the curtains hang closer to the ceiling, which will give you superior soundproofing coverage. If you haven’t already invested in a steam cleaner, you should because they’re amazing. When you get these curtains though, they’ll have many, many wrinkles in them. You should probably avoid putting these in the wash, I steam clean them, which also takes out the wrinkles. I use the Dirt Devil Steam Cleaner I bought on Amazon, but I’m sure any with a long cord and hose will do just fine. I would definitely Buy four panels for each window instead of only two! To be effective, more thickness you can put between the room and the window, the more effective the soundproofing will become. Buy the longest curtains possible, and then cut them to avoid them dragging on the floor. You want the soundproofing curtains to cover as much of an area as possible from floor to ceiling. Bigger Budget Acoustic Curtains From Residential Acoustic. If your budget can allow you to spend more money and you want to stop outside noise from coming in once and for all; then you should take a closer look at Residential Acoustic Soundproof Curtains (Amazon Link). They are a bit more expensive, and they will not make your room completely silent, but you will notice a significant noise reduction. If you just want to buy one thing that is simple and won’t cost you a thousand dollars like installing a soundproof window. In my opinion, the soundproof curtains from Residential Acoustic is an excellent choice for people working with a bigger budget. Putting up some soundproof curtains in your bedroom or home office may not give you as much soundproofing as a soundproof window would provide you. However, they are an easy way to provide you with some sound reduction for a low cost. Thank you for checking out my article. What do you think? Do soundproof curtains work? Please leave us a comment below and let us know if you have success with noise proofing curtains.